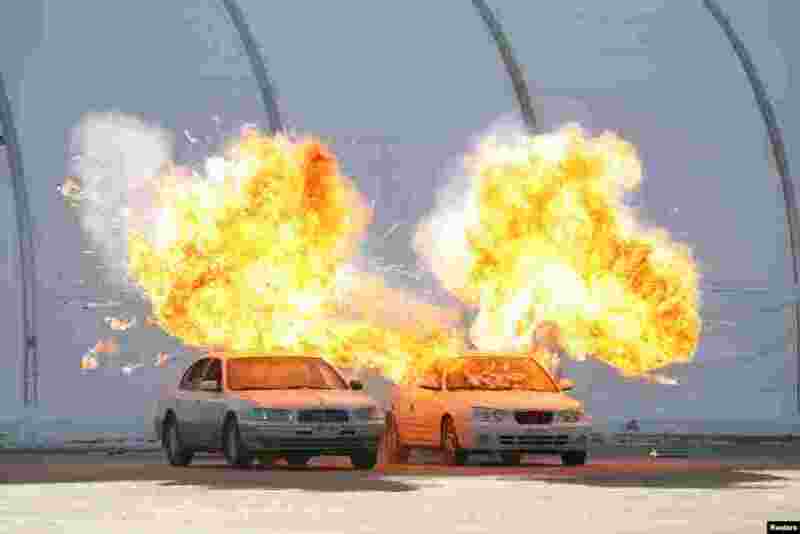 ١ Vehicles explode during a security drill ahead of the 2018 Pyeongchang Winter Olympic Games at the Olympic Stadium, venue for the opening and closing ceremony in Pyeongchang, South Korea. ٢ People attend the funeral ceremony of prominent spiritual leader Rabbi Aharon Yehuda Leib Shteinman, who died at the age of 104, in Bnei Brak near Tel Aviv, Israel. 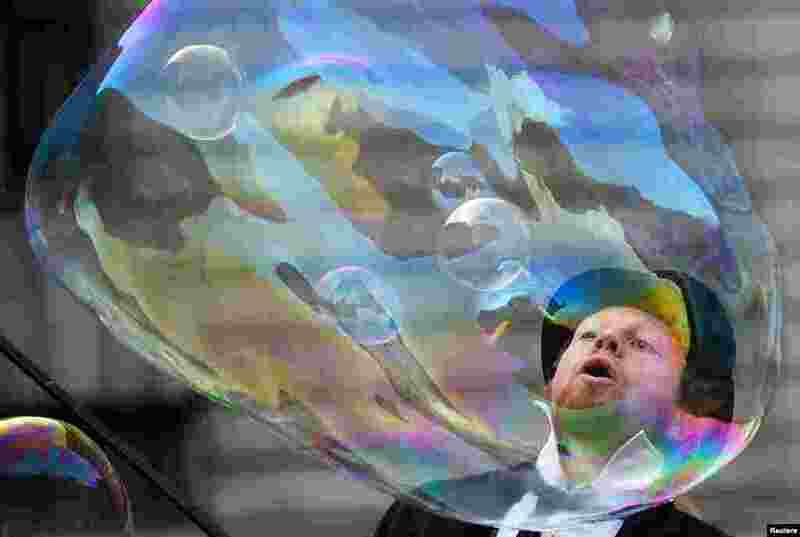 ٣ A street artist performs with giant soap bubbles outside the Natural History Museum in London. 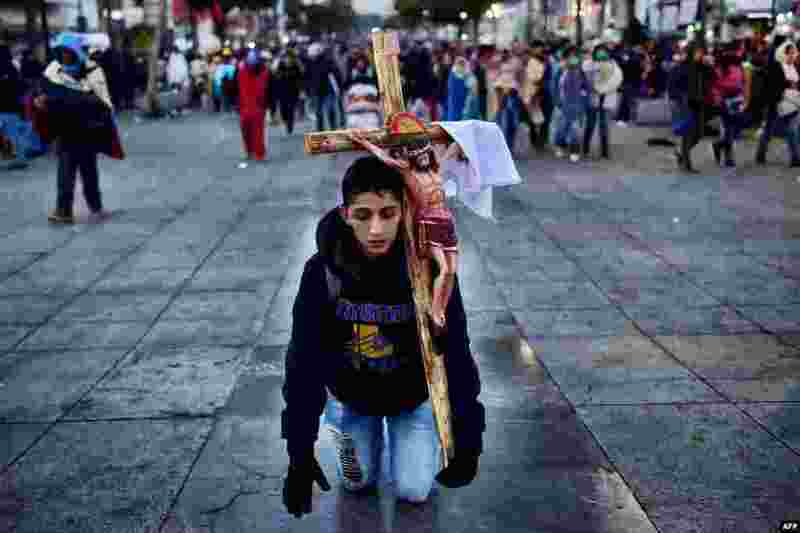 ٤ A penitent prays during the feast of the Virgin of Guadalupe, patron saint of Mexico, in Mexico City.